As an auto dealer, you notice dealer advertising more than the average consumer. When you see an ad in the newspaper, online, on television, or hear one on the radio, you probably listen carefully because it is your business. Keep in mind that consumers probably don’t pay as much attention. Consumers tend to notice auto advertising only when they are in the market for a car or truck. But even then, there are so many auto commercials that many will simply not draw their attention. When planning the advertising for your dealership, your creative approach needs to “stick out” to draw the consumer’s interest. So, how do you stick out? First, remember that drawing attention means getting a consumer to look at your ad. Many dealers use local or national celebrities to draw attention to their ads. Most people will turn their attention to television commercials that features their favorite baseball or football player. That player’s endorsement may help you sell the consumer a vehicle, but the player’s mere presence will draw attention to the ad. Surprisingly, if you look into it, you may find that local celebs are very affordable. Since you might be paying them for just a one-day shoot, you may be able to get a great deal. You won’t know the cost unless you ask, so why not ask? Even if you don’t use a celebrity, there are other ways to stick out. 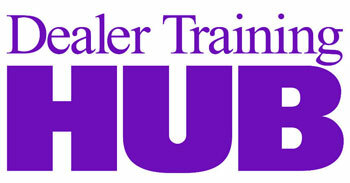 Hundreds of dealers across the country draw attention to their commercials using humor, promoting special events, etc. People loved the slogan, and would drive to his location simply because he had drawn their attention. Regardless of your attention-getting device, it’s important to use it consistently. Use it on TV, on the radio, in print, online—in all of your advertising. Getting the consumer’s attention is half the battle for advertising success. If your advertising is generic or looks like every other dealer’s ad, you’ll get a weaker response. Remember that the media is simply the delivery vehicle. The message has to be effective or it will get lost in the mix.